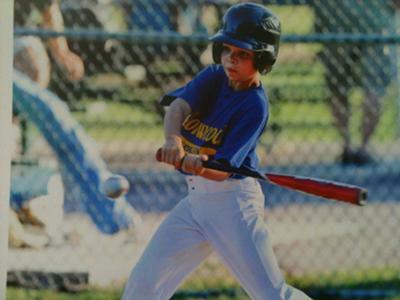 Chuck asked: My 10 year old son hits the ball well,and seems to have a level swing, but seems to hit mostly ground balls. Any tips? ps. I noticed you sign yours in baseball, dan shaunessy signed "the curse of the Bambino" for me using the same. Whats up with that? Rick answered: Chuck, thank you for your question. Very nice picture of your son. 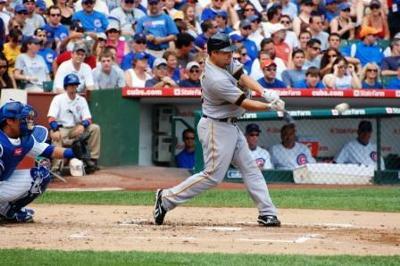 Hitting ground balls is not necessarily a bad thing. We teach our hitters that they are looking to hit line drives and ground balls, as fly balls and pop flies are the easiest outs to record for the defense, outside of a strikeout. 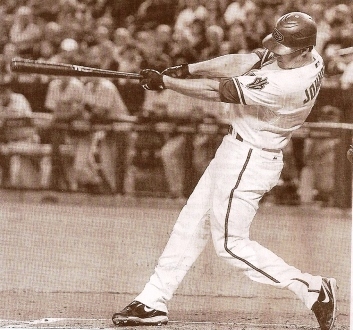 The question would be, is he hitting hard ground balls, or are they weak rollover types. If they are the latter, it may be a timing thing with being out in front, or attempting to pull balls that are on the outside. Your picture shows him in a good position as he comes to and through the zone. Getting a lot of hitting surface. If he is consistently hitting the ball hard, he is in a good place. Not able to tell from a photo if there is anything start to finish in his swing that would pinpoint something specific to work on. Need to see it in motion. I first noticed the "yours in baseball" closing in a letter received from the Diamondbacks Director of their Baseball Academies, 12 years ago, concerning working with them in their youth camps. The phrase has a feel for what I consider one of the great characteristics about baseball, that there is this willingness throughout all levels of baseball to give back and share information for those coming behind them. I believe it is a brotherhood unmatched in any other sport. There seem to be no deep dark secrets that are kept. Coaches, players and organizations will talk "baseball" with you anytime, anywhere. I find it special! When I started the website in 2007, my first and foremost goal was to give back to baseball for all those who had given to me. It remains that today. Good luck to you and your son as you go forward. Memories are being made that will last forever.